Three years ago, when I entered the life of a college student. I saw myself become a person that I didn’t want to be. Coming into college, I was both excited and nervous. 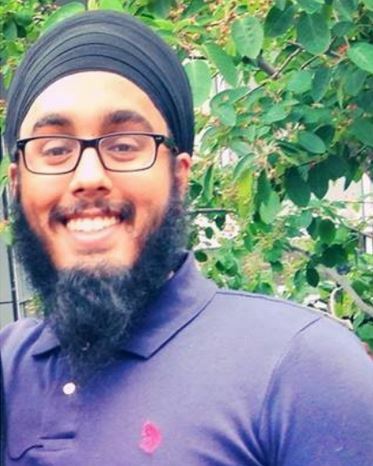 Being someone who had a turban and a beard, I felt as if I wasn’t being accepted anywhere by anyone. I needed to find myself, and I did that by making all the wrong decisions I could make. I started to care less about everything and everyone around me, but care more for myself. My parents lived an hour away from school and worked about fifteen minutes from it, yet I only spoke to them once a month because I just didn’t care about them. I used to party not once, not twice, but up to three times a week. My schoolwork went down the drain and I was put on academic probation at the end of my first semester. The reason why I share this with you is because what happened next changed my life. I had gotten involved with one student organization called UNICEF on campus. On that winter break following my first semester, a selected number of students were taking a trip down to Honduras to run an educational public health camp and language camp at an orphanage. I applied for the trip just because I didn’t want to be home. I had no idea what I was doing. I had no idea where Honduras was. Luckily, I was accepted. Then I paid the fee without telling my parents but through my dad’s credit card. I told you, I made stupid decisions. He saw his credit card bill, flipped out on me, but what was done, was done. I couldn’t get my money back. I was going to Honduras. The reason why my trip to Honduras changed my life was because the kids at that orphanage taught me how to appreciate life. Each child had his or her unique story. From being impregnated at the age of thirteen by her stepfather and having the baby, to being left outside the hospital by his mother after being born, to even being forced outside the house with no shoes, or socks, because their parents would tie them up and starve them as they themselves would enjoy meals. However, despite these challenges and struggles, what I saw in these children was the drive to keep living life with a smile on their face. I saw love, compassion, faith, and tenacity built in all of them. I remember one girl, Carmen, who told me she would be the next president of Honduras. My trip to Honduras taught me that life is a blessing. These children were the leaders in my life who taught me not to live a life for myself, but live a life for others. We are sincerely blessed to be in the position we are in. If we appreciate everything and everyone in our life, and live each day like it’s our last, then we become the greatest leaders we can be. Throughout our life, we will face challenges and struggles. It is our job to stay true to our values and fight through these hardships. Life is a battle between you and yourself. Dig deep down and you will find the qualities of a leader embedded inside of you. However, don’t change who you are. Stay true to yourself, and you will see yourself become the greatest leader not only in your life, but in the lives of the people around you. Harjiv Singh is currently a senior studying Exercise Science and Nutrition. Alongside his academics, he serves as a Resident Assistant. He is also a member of the Rutgers Men’s Volleyball team. Outside of his academics, he takes part in many community service organizations and projects. He is a misl director for the Jakara Movement, a non-profit organization based in California. He is a founder of another not-for-profit organization called Students Helping India. He takes a lot of pride in working with underprivileged children and families both locally and abroad. He served as a public relations chair for UNICEF (United Nations International Children’s Emergency Fund) and has taken numerous trips to run public health educational camps in Honduras, Guatemala, and India. He is an aspiring orthopedic surgeon who is currently working on a project to provide better access to sports for young children in both local and abroad communities. This Post was tagged abroad, leadership, leadership style, service. Bookmark the permalink.